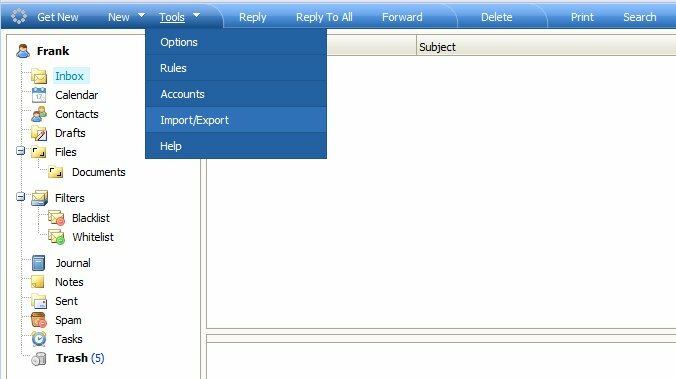 Once logged into oldmail.hollandcomputers.com, follow these instructions to export or import your contacts. Click on the tools menu in webmail. Select your previously exported file and click Open.